Films and architecture have always had a close bond due to the way the architecture can have such a strong impact and the atmosphere and tone of the film. Here we have compiled a list of our top 5 must see movies that feature some very impressive architecture. 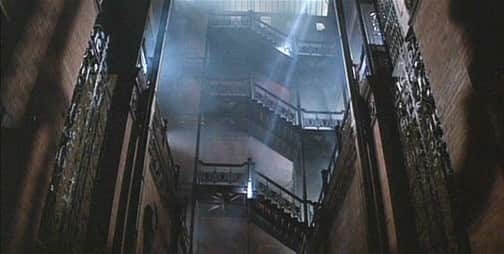 Of all the imagery in Ridley Scott’s 1982 hit film, Blade Runner, the Bradbury Building transformed as a post-apocalyptic apartment building takes centre stage. The rundown building in downtown LA sets the scene perfectly for this sci-fi noir classic. 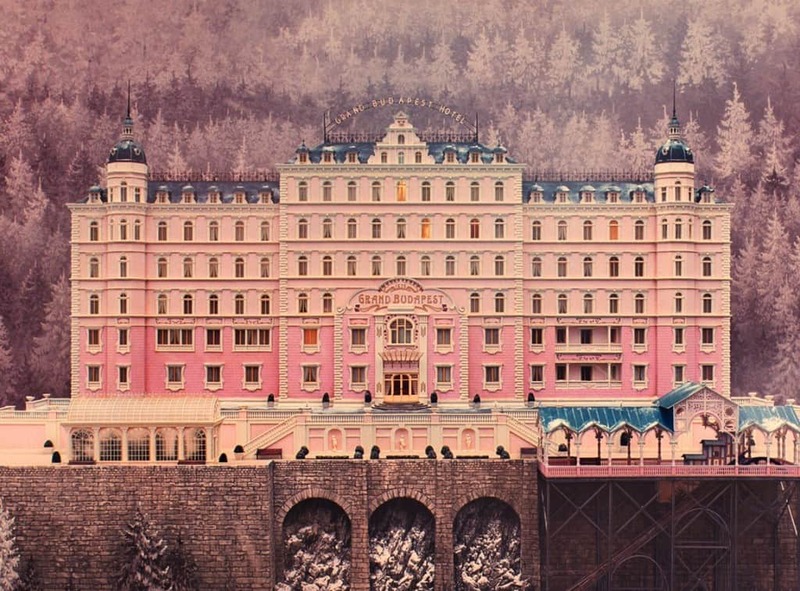 Crucial to the film’s success was the set design, the visual aesthetic and the architecture supplied by the Palace Bristol Hotel which served as the inspiration for Anderson’s Budapest Hotel. The Elrod House is a classic example of the architecture representing the nature and personality of the character who lives there. 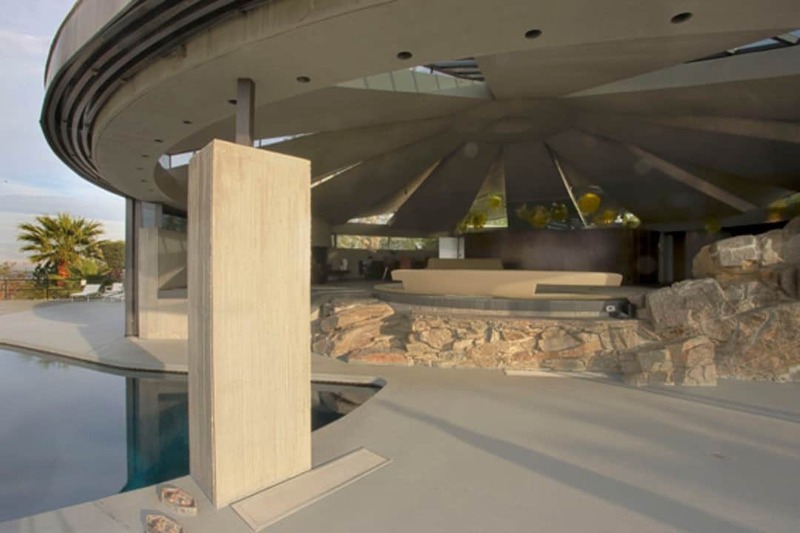 Sleek, modern and exciting, this Palm Springs home makes the perfect evil lair. 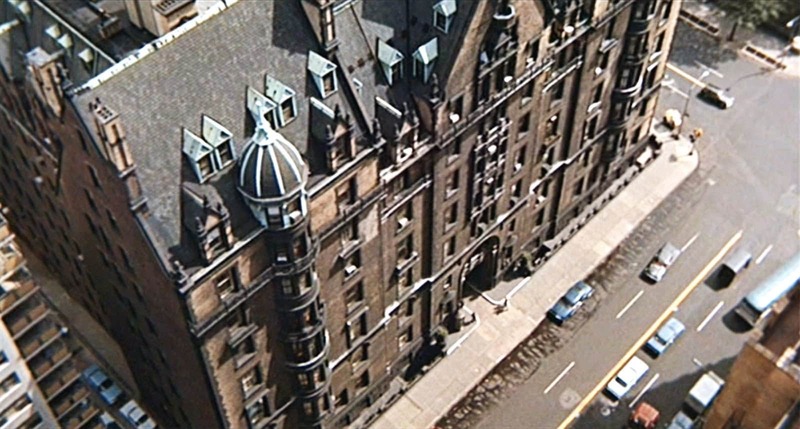 The Dakota on the Upper West Side sets the stage for the horror as the film opens with aerial footage of the building’s Gothic architecture. One of the most imposing and memorable movie locations, repeatedly cited as a character in and of itself, would have to be the Overlook Hotel, setting of Stanley Kubrick’s adaptation of The Shining. 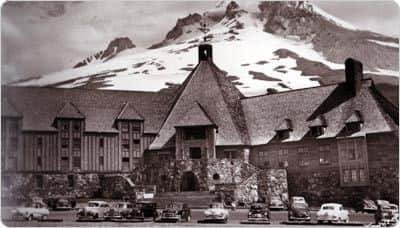 The architecture of The Timberline Lodge fully set the scene for this gruesome horror.